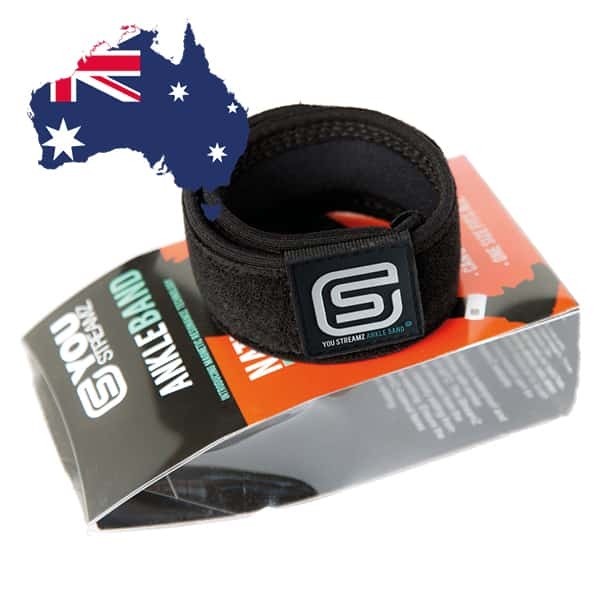 EQU StreamZ fetlock bands were developed in the UK and are now available in Australia and New Zealand. They provide a natural response to a variety of symptoms found with horses, introducing a new technique of magnetic therapy to the equine market. Unlike traditional magnets StreamZ creates no heat allowing them to be left on for long periods of time and creating a non invasive form of therapy. Each pack contains two fetlock bands to be worn by one horse; comfortably wrapped around the cannon or pastern bone on either fore or hind legs and worn for a minimum of 8 hours per day. Designed to fit all breeds and to support issues with mobility (arthritis), inflammation, tendon/ligament injuries, energy levels, and much more. Each EQU StreamZ magnetic horse band contains a continuous strip of Streamz material, creating a 360º low-frequency energy field around the horses leg. Each EQU StreamZ magnetic horse band contains a continuous strip of StreamZ material, creating a 360º low-frequency energy field around the horses leg and rebalancing the minerals throughout the horses system. Traditional magnets have been used for many years to treat a variety of symptoms, often found in boots or rugs. Disadvantages in using more traditional methods include the inability to leave them on for long periods of time due to the heat created by each pulsating magnet and how they only effect local areas. StreamZ non invasive magnetic horse bands introduce a new technique in how magnetism is deployed – 360º resonance technology, rebalancing the whole body. StreamZ does not pulse, it spins! This unique process prevents an increase in temperature allowing the bands to be left on for long periods of time, improving their impact whilst reducing ongoing management time. Since starting to use them she has not once had swelling or heat in her legs, no longer requires joint supplement and is generally a much more amenable horse. I can only attribute this to using EQU StreamZ and would say that they are worth every penny. I have also used them on myself as I suffer with disc compression in my back and could not believe the difference over night. Thank you StreamZ! “I put the EQU Streamz bands on and was amazed to see an instant overnight improvement in Berties hind legs – NO SWELLING AT ALL! He has also improved his gait…. resulting in my first 9 for his walk in Dressage (Novice level)”. “A fantastic product!! Tom is 7 years old and has Degenerative Suspensory Ligament Disease. His diagnosis was made in 2014 and the outlook on him was rather grim. He has had various treatment in the past without much success – nerve block, shockwaves, and injections. These bands are a ‘game changer’ for your horses! Anyone that knows me, knows that I only feed the BEST and use the BEST products on my horses. The EQU StreamZ bands have completely changed my mare. No heat created, suitable for many uses including horses in foal. EQU StreamZ are proud to be endorsed by a variety of leading professionals within the equine community including Olympic and World Champions. Many competing riders use StreamZ as a preventative and ongoing managing tool to help keep their horses in tip-top condition, provide joint care and support when travelling. EQU StreamZ ambassadors include riders within International 5* show jumping, dressage riders, 3-day eventers, barrel racers, rodeo competitors, racing yards, reining and much more. Our global reach has extended to Australia and New Zealand and helped us partner with locally based leading riders providing an additional level of credibility to any interested customers. Unlike traditional pulsating magnets StreamZ creates a non invasive energy field; which creates no heat. This is of significant interest when managing horses who have been competing or exercising and are in various stages of rehabilitation. As not heat is produced the technology is ideal for supporting muscle/tendon issues either after trauma or as part of a daily recovery process. StreamZ 360º magnetic approach allows the bands to be left on for long periods of time without creating negative side effects, including through turnout – thus reducing maintenance time. EQU StreamZ bands can be wrapped around either fore or hind legs and above or below the fetlock joint. * When turned out for long periods of time the bands should be placed above the fetlock or removed. A few layers of vet-wrap over the top can be used if turned out in soft ground conditions. Independent double-blind studies have been carried out by a leading UK equine university on horses. These studies focused on tarsal joint mobility; a common sign of arthritis. Positive results within these studies has led to further research being commissioned with a variety of partners including universities and equine technology experts. Ensuring clinical evidence is provided creates further credibility against our claims. This also applies by providing anecdotal evidence, which we have in the thousands! StreamZ are committed to continuing a range of studies, both clinical and anecdotal, and to help achieve this goal recently welcomed a new member of the team solely focussed on co-ordinating these future studies. EQU StreamZ horse bands ® introduce a new technique in how magnetism is deployed – ‘360º resonance technology’ – Magnetic therapy for your horse, with a difference! StreamZ does not pulse, it spins! This unique process prevents an increase in temperature allowing the bands to be worn by the horse immediately after exercise and for long periods of time, including through turnout. Ideal after exercise, when recovering from an injury and for general wellbeing. The neoprene design fits snuggly against around the horses leg and is recommended to be worn for a minimum of 8hrs per day, the longer the better! Each horse pack contains a pair of adjustable bands (up to 35cm circumference). Wrap each band around the fetlock/hock and attach using the hook-and-loop material, leaving enough of a gap to push your little finger between the band and the horses skin. A continuous layer of StreamZ material then ‘gets to work’! By joining the ‘StreamZ Family’ you’ll horse will be joining an illustrious bunch including World and Olympic Champions, international teams, leading charities and thousands of other customers across the world. EQU StreamZ are with you, every step of the way. Each horse must wear two EQU StreamZ bands just above or below the fetlock area. They are designed to be worn for a minimum of 8 hours a day although results have been reported as significantly greater when used 24/7. Waterproof and designed to be used in most weather conditions however “24/7 use” refers to the technology and does not indicate the bands can be left on in all weather conditions or whilst out hacking. The bands are developed to be used in recovery, not whilst in active use. When the ground is soft and the horse is turned out the bands should be placed above the fetlock joint and out of the soft ground. Care and attention and a level of common-sense is required for the bands to last; as with any other tack product. See care details below. StreamZ offer a complementary form of treatment and should not to be used as a replacement to any professionally diagnosed medications or treatments. StreamZ technology is not clinically proven as the clinical studies carried out were not peer reviewed. StreamZ bands can be used in conjunction with medications, supplements, diets, and traditional magnetic products however it is advisable that traditional magnetic products are not placed over the top of StreamZ as this can create damage to the StreamZ 360º magnetic energy field, either when on the horse or when in the tack room. Please note that as with mainstream medications, StreamZ do not offer a guarantee on the intended results. It is advised the EQU StreamZ should not be used on any horse diagnosed with a medical heart condition. Seek professional medical advice prior to use. Some white haired horses may find the neoprene too sensitive to place against the skin; if this is a known issue then a few layers of vet wrap/bandage can be placed around the leg before the bands are fitted. Less than a handful of customers have reported an adverse reaction to using the bands when treating a horse diagnosed with severe Cushings Disease (PPID). How each horse is treated depends on which clinical signs that particular animal has and how severe those symptoms are. In many cases the advice by professionals is to manage the clinical signs, such as laminitis, secondary infections and excessive hair growth. This is achieved by modifying the animals diet and supplements to help support the natural healing process. The ‘adverse reaction’ reported is thought to relate to this process. As the natural healing process begins to improve the animal can occasionally indicate a negative reaction before showing signs of improvement. In the few negative reports we have received it was reported that the horses showed signs of filling and a reduction in mobility. This contradicts many other reports from similar users, however, as a company with a focus on animal welfare we deem it important to share this feedback. Please consult your veterinary professional if you require medical advice and review our returns process, or contact one of our team. StreamZ advertise the EQU bands as “24/7 use”. This refers to the technology being able to be worn all day every day, and particularly when the horse is ‘in recovery’. This does not stipulate that bands can be worn 24/7 in all weather conditions, particularly in the UK. Common sense is require as to when the horse can and cannot wear the bands. Cleaning the bands: The material has a life span as with any aesthetic product such as shoes or clothing; it requires care and attention to last 12 months or more, particularly the fastening. To keep the bands as long as possible it is advised that they are washed every couple of weeks. Simply remove the StreamZ silicone strips from the open end of the bands (the end next to fastening tongue) and wash in a machine under 40ºc or on hand washing setting and place the strips somewhere safe. Hand/pat dry and slide the StreamZ strips back into the bands, with the ridges/lines on the StreamZ strip facing away from the skin (smooth side facing the skin). The fastening within the EQU StreamZ requires a level of maintenance and care. Warranty is available on defects with the fastening. We have had issues in the past with the material used and updated the material to the strongest on the market to rectify this issue. If you have any questions please contact our support team via email; [email protected] Proof of purchase will be required for warranty defects, damaged or lost bands are not covered under warranty. Where and when to wear the bands: The EQU bands are developed to be used as an aid for recovery and not to be used in active work (there is slight movement under the fetlock joint). The EQU bands should be completely removed or worn above the fetlock in soft ground conditions, further still if the ground is soft enough to allow the bands to be submerged then the bands should be removed and only used when turned in. In wet/muddy conditions it is advised to remove them completely to avoid the bands being submerged. Lost bands are not covered under warranty and single bands are not available for purchase. ABOVE Fetlock – use when turned out in soft ground conditions or whilst in light work. Advice: If the horse is ‘turned in’ we advise that the bands are placed below the fetlock (around the pastern); the artery is slightly closer to the outside of the skin under the fetlock joint. If the horse is ‘turned out’ then we would advise that the bands are placed above the fetlock joint (around the cannon bone). We recommend that the bands are placed on the near fore and off hind legs, no matter what the injury, although it generally makes little difference. Tip: We have a horse who we like to turn out with his bands on, even if it’s wet. We also noticed that when alone he would often get his teeth under the bands and rip them off. We caught him peering through the hedge like nature detectives. We solved this issue by tricking him! We now put his bands on him, whilst making him look the other way, and then wrap a few layers of vet wrap over the top. He’s none the wiser, and the bands stay on! If you have any questions please do not hesitate in emailing our support team; [email protected]. I am really pleased with StreamZ bands which my horse wears 24/7 above his fetlock. We have seen a massive difference in his general wellbeing and mood so I know he’s in less pain or discomfort. His locking stifle is definitely harder, he is no longer stumbling and struggling when releasing. I was so pleased with the results I purchased another set for his retired paddock mate who has arthritis too, she’s lying down heaps more so I know she’s much less stiff and sore! I also wear the human YOU streamz band and have a collar for my Jack Russell!! I can’t recommend them high enough! !